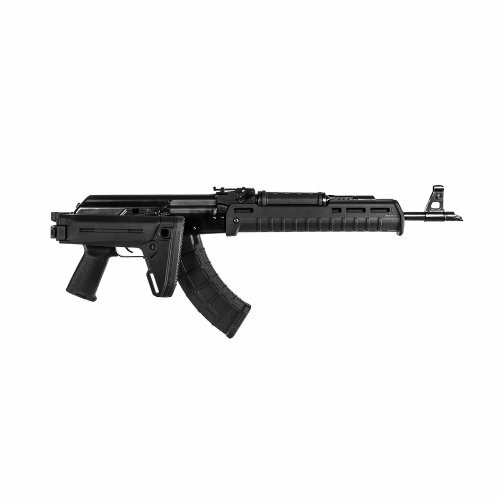 The Magpul Zhukov Handguard is a fully-featured AK forearm for the modern AK. 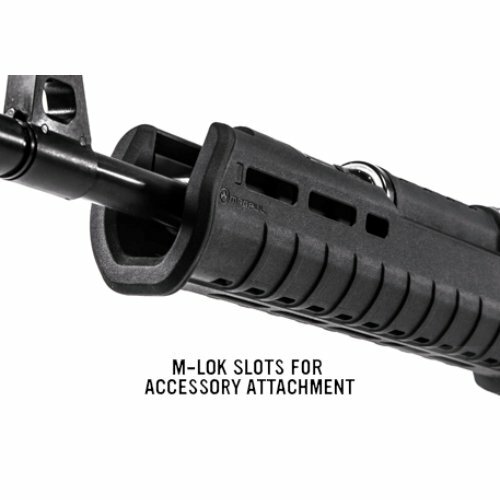 The Zhukov Handguard casts aside traditional AK forearm shortcomings and offers an extended option for modern shooting techniques, an aluminum chassis for strength and heat dispersion, a comfortable injection molded exterior for superior ergonomics, and M-LOK slots for optimized accessory attachment. Compatible with the Ultimak gas tube rail for optics mounting, the Zhukov Handguard redefines functionality for the modern AK platform. 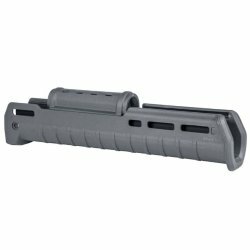 Installation requires permanent removal of the handguard retainer. *NOTE: The Zhukov Handguard requires the permanent removal of the factory handguard retaining cap and forward sling mount if so equipped. 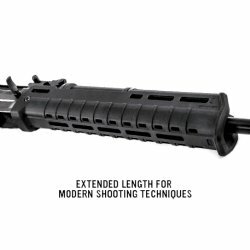 Please ensure your barrel diameter under the handguard falls between 16.75-18.25 millimeters before cutting your retaining cap! 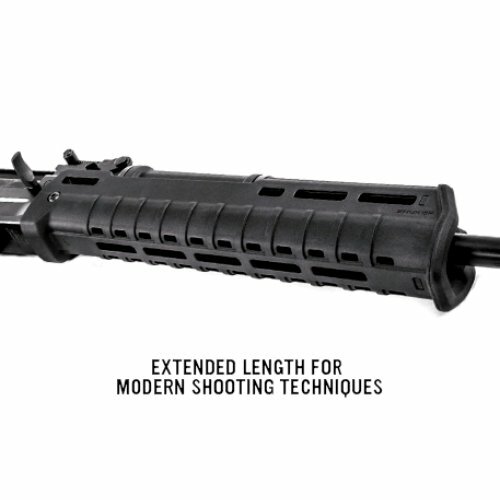 WARNING: Due to extended Handguard length, barrels less than 13" long are not recommended.